6. How do you accommodate sensory needs of your clients? 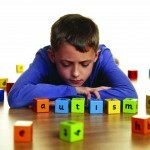 We know and understand individuals with autism have either hypo or hyper sensory needs. We will use various approaches to meet the individual’s sensory needs, including sensory diet, movement, brushing, etc., by consulting with an Occupational therapist and others.